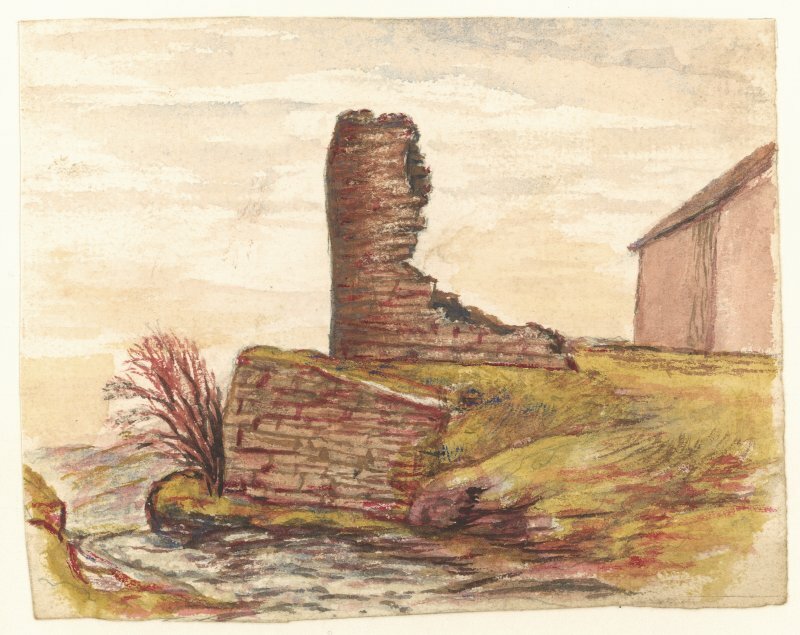 The fragmentary ruins of Latheron Castle consist of a portion of the N angle of a rectangular building with some 15ft of the NE wall, about 7ft thick. A large part of this wall was blown down subsequent to the visit by the RCAHMS in July 1910. 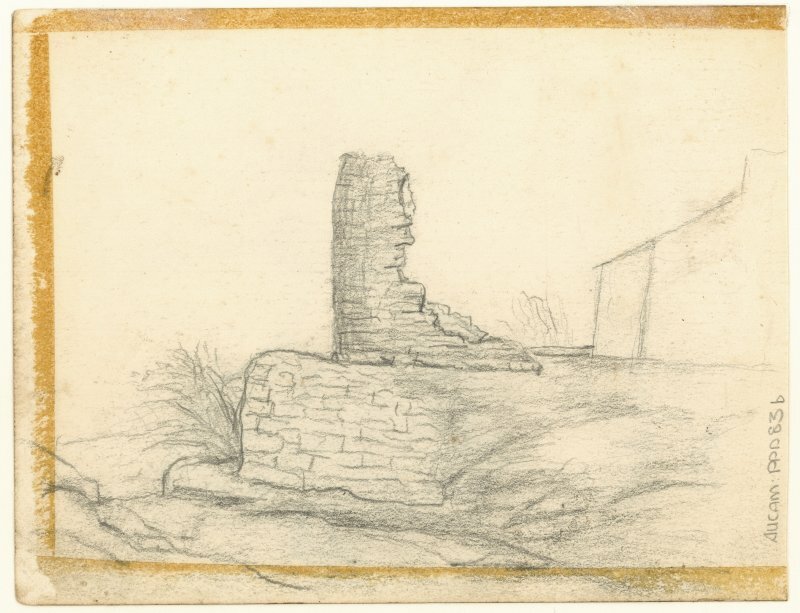 In 1726, this castle was said to be standing though ruinous. Nothing was then known of its history. W Macfarlane 1906-8; RCAHMS 1911. Only a portion of rough walling, 8.0m long, 2.2m thick and 2.0m high, remains at the site. Visited by OS (N K B) 13 March 1968. Latheron Mains farmhouse (ND 1990 3344) is built on the remains of part of Latheron Castle. Visited by OS (N K B) 7 December 1982.